ADS has and continues to help us grow by being lean, smart, and future driven in their approach to meet our expectations. The district appreciates its partnership that ADS continues to build every day. After the installation was completed, your company's professionalism continued to show. In the past, I have dealt with other company's who would have just handed the ball over to move to the next project, not so for ADS. The Missouri School Boards™ Association is pleased to recommend American Digital Security as the ideal candidate to design, install and service a customized security solution for you.We have not been disappointed by our choice. The legacy of satisfied clients speaks volumes fo the unmatched quality of service provided by American Digital Security. ADS is located about three and a half hours from our schools, but have provided excellent service. In fact I am equally impressed with their service as the quality of their product. Our SROs [school resource officers] have used the system many times since it was installed to solve crimes, determine involvement of people in fights as well as viewing car accidents some reported and some were hit and runs. I have no hesitation to recommend ADS and their IP camera system to any school or business looking for a quality video surveillance system. I will admit, one of the biggest surprises was wen the job ran a little longer than expected. Both [Matt and Camron] installers showed up every day until the job was finished. They didn't schedule a later time to come back or leave to go do another job. They stayed until the job was done. This is not an experience we have had with other companies. It was a small gesture, but made us feel that even though we are a small school, we are no less important a customer than any other. They [ADS] have really gone above and beyond with customer service and we couldn't be happier with the product. Working with ADS has been very easy; their technology is up to date and advanced, but very user friendly. 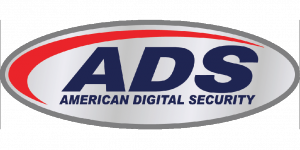 [.....] We want to thank ADS for their professionalism, security industry knowledge, great customer service and their high tech but easy to use products and would recommend American Digital Security to anyone who is looking fo - a security system. Most importantly, of course, is what happens when the cameras must be put into service. We have had instances of needing pictures of someone inside the bank or a vehicle outside. The cameras are expertly positioned, making it easy to obtain and print good photos. Authorities have commented on the quality of pictures we are able to provide them. K.C. Police Credit Union is very pleased with American Digital Security. We partnered with ADS in November 2010 and our overall experience remains extremely positive. After evaluating other vendors, we chose ADS to replace our outdated security camera system at one of our branches. We were so impressed with the product quality and customer service that we installed new camera systems at 3 other branch locations.